A highly motivated structural engineer with 3 years’ experience in the construction industry in UK and with good working knowledge of UK and European codes of practice. Specialising predominantly in the alteration of existing projects and in the development of new with a particular focus on environmental impact and sustainability. A hard working engineer with high level understanding of working to budgets and timelines. Structural Engineer in the field of Design of foundations, beams, columns. Attending meetings and competently communicate with Clients, Contractors. Applying personal technical knowledge and experience to the development. Setting out Project works in accordance with Drawings & Specification. Designing framed and unframed structures for mainly residential builds. Projects include timber and steel structures for residential buildings and sheds as per most recent British Standards and Eurocodes. Models and associated reports were created in softwares such as TEKLA Structural Designer and CADS Analyse 3D, while simpler calculations were done using Superbeam, TEKLA Tedds and CADS Smart Engineer and drawings using AutoCAD. Doing hand calculations for beams, frames and foundations. Iraj H.P. Mamaghani is an Associate Professor in Civil and Environmental engineering department at University of North Dakota. He received his Ph.D. in structural engineering from Nagoya University, Japan in 1996. Among other awards, he received Evaluation of Self-Consolidating Concrete (SCC) for Use in North Dakota Transportation Projects: Sponsoring Agency: North Dakota Department of Transportation, Application of Sealing Agents in Concrete Durability of Infrastructure Systems. Sponsoring Agency: North Dakota Department of Transportation, Total: $47,450, 7/2005–4/2007. Jamal Khatib, BEng, MEng(Sc), PhD, CEng, FICE, FHEA, EUR ING, PG.Cert. Ed, PG.Cert. PjtMgt, Cert. EnvMgt, MEPC, MOIA, is presently Professor of Civil Engineering (Sustainable Construction Materials), Faculty of Science and Engineering at the University of Wolverhampton (UoW) - UK. His academic career began in 1987 as a Research Student/Assistant/Fellow, at the University of Aberdeen. In 1994 he moved to take another Research Fellow post at the University of Glamorgan (now University of South Wales) until 1997. He then took a permanent position as a Lecturer/Senior Lecturer in Civil Engineering at Sheffield Hallam University (SHU). During that time and due to research collaboration with IMUST-China, he was awarded the title of Honorary Professor in 2001. After 9 years at SHU, he moved to the University of Wolverhampton (UoW) as a Reader in Civil Engineering and became a Professor in July12. In 2010, he achieved the Chartered Engineer status of the Institution of Civil Engineer (ICE). 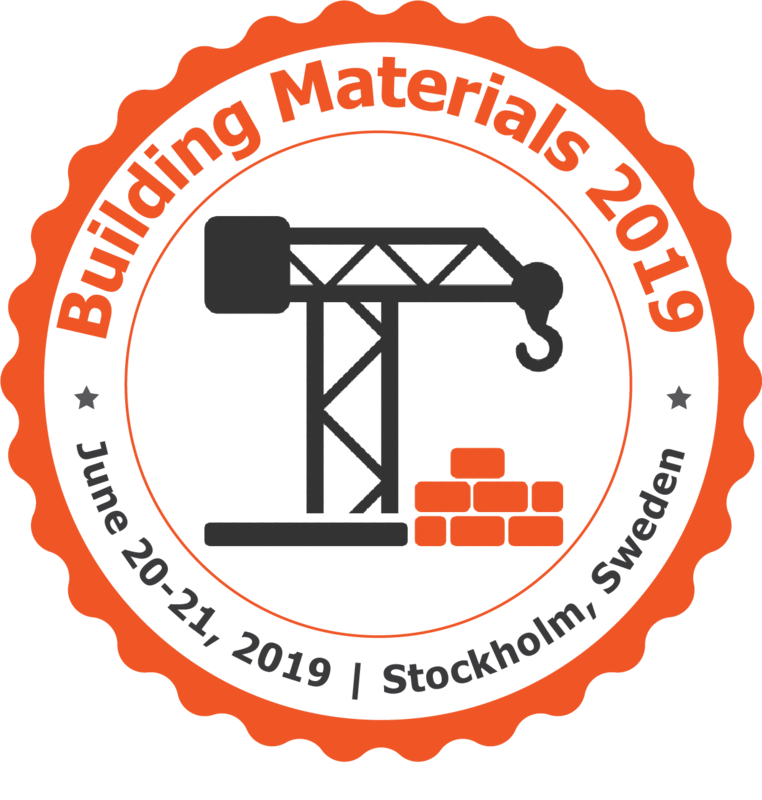 Areas of research specialism include a number of sustainable construction materials themes: a) use variety of waste materials in the production of construction/structural materials, b) novel construction materials (e.g. metakaolin), c) concrete subjected to harsh environments, d) lightweight and self-compacting concrete and e) behaviour of structural materials. Prof Khatib was one of the early UK researchers who conducted research on metakaolin as partial substitution of cement and his publications in this areahave been extensively cited.According to the ISI Web of Science and Scopus Prof Khatib has an H-index of 16 and 19 respectively. Microsoft Academic classified Prof Khatib as one of the top authors in cement with a G-Index of 18 http://academic.research.microsoft.com/RankList?entitytype=2&topDomainID=12⊂DomainID=1&last=0&start=1&end=100 Also and according to Google scholar there is more than 3000 citations, an H-index of 23 and i10-index of 33 http://scholar.google.com/citations?hl=en&user=eRDOWn8AAAAJ Many papers were rankedas the top 25 articles. The products of his extensive research activities have been comprehensively disseminated through: ~ 400 refereed academic journal & conference papers; text books, research seminars and workshops; articles, features in the construction press and others. He acts as a reviewer to over 70 international refereed journals, book publishers and others. He sits on the technical committees of many international research conferences. He is an Editorial Board member of four academic Journals and an Associate Editor for the Journal of Emerging Trend in Engineering & Applied Sciences. Prof Khatib was a submitting staff member for the RAE/REF 1996 (Glam), 2001 (SHU) and 2008 & 2014 (UoW). Prof Khatib is a recipient of research funding from the European Union (EU), the British Council, The Institution of Structural Engineers and the Royal Society. He established strong research links with Universities across the world; China, Algeria, India, Turkey; Nigeria, Kazakhstan, Iraq, Ukraine, US, Canada, France, Finland, Portugal, Slovenia, South Africa, Austria & Australia. Biljana Šćepanović, Dr-Ing, associate professor of the University of Montenegro, has focused her research work, as well as engineering expertise in the domain of steel, timber and aluminium structures. She has reach experience in modelling of patch loaded steel girders, with special emphasis on the case of eccentric patch load and its analysis by both experimental and numerical methods. Prof. Šćepanović realised most of her research work at the University of Montenegro, where she also has successful teaching career, and at the University of Granada. Her teaching and research experience have been enriched by several study visits at European universities, as a visiting researcher and/or teacher. Dr. Hassan Baaj is an Associate Professor at the University of Waterloo. He is the Norman W. McLeod Professor in Pavement Materials and the Director of the Centre for Pavement and Transportation Technology. Dr. Baaj has about 20 years of experience in pavement materials and design in Europe and North America both in the private sector and academia. He is Professional Engineer in Quebec and Ontario and member of several scientific and technical organizations. Hassan Baaj obtained his PhD from the Institut National des Sciences Appliquées in Lyon, France. He was then awarded with a postdoctoral fellowship at the Institute for Research in Construction at the National Research Council in Canada where he worked for a year. Hassan then joined the road construction industry in 2003 with Sintra in Québec (Colas Canada). During the next five years, he had the opportunity to lead and participate in several innovative projects in the roads industry and was in charge of several collaborations with the Ministry of Transportation Québec, municipalities, and a number of universities in Canada and abroad. In 2008, he joined Lafarge in France and took over the responsibility of the Research and Development (R&D) activities of the company in the area of Infrastructure Engineering at the Lafarge Research Center (LCR). He is interested in research topics related to sustainable pavement materials, self-healing materials, constitutive modelling of the behavior of construction materials, Life-Cycle Analysis and mechanistic pavement design. Characterization And Modelling Of The Behaviour Of Construction Materials. Smart Pavement Materials And Structures. Mechanistic Pavement Design Methods. Optimization Of The Use Of Recycled Materials. In Sustainable Infrastructure System. Sustainable Development. Life Cycle Analysis. Prof S Nwaubani has for many years been involved in research training and guidance of graduate and postgraduate students. His research is broadly concerned with sustainability issues in construction including the use of waste materials to produce novel materials with enhanced properties that contribute to achieve resource efficiency. His main expertise is in assessing the properties, durability and microstructure of construction materials. Main areas of interest include High strength and high performance concrete; blended cements produced using natural, artificial and other materials (including industrial wastes) as replacements for cement in concrete; corrosion of rebar and corrosion inhibition in reinforced concrete; use of surface treatment materials in general; durability of surface-treated stone and concrete structures; polymer modified concrete. Other areas include structural analysis and infrastructural health assessment & monitoring. His success in what he does is evidenced by a substantial body of works (over 100 publications) published in reputable journals and presented in national and international conferences. He has contributed to the writing of two books; supervised 12 PhD projects to completion and carried out several consultancy works for the Civil Engineering industry. Prof Nwaubani currently serves as member of the editorial/Technical review and Organising committees of several reputable Journals and international conferences. Properties, durability and microstructure of Construction Materials, structural concrete, blended cements, clincker less cements, polymer-concrete, use of waste materials in Construction, sustainability, corrosion and corrosion mitigation issues. Professor Y. B. Yang received his Ph.D. degree from Cornell University in 1984. He is a member of Chinese Academy of Engineering and foreign member of Austrian Academy of Sciences. Currently, he is Honorary Dean of Civil Engineering, Chongqing University, Professor Emeritus of National Taiwan University (NTU) and Distinguished Chair Professor of the Hong Kong Polytechnic University. Also, he is an Editor-in-Chief of International Journal of Structural Stability and Dynamics, President of Asian-Pacific Association of Computational Mechanics (APACM), and Chairman of East Asia-Pacific Conference on Structural Engineering and Construction (EASEC). Previously, he was President of National Yunlin University of Science and Technology and NTU Dean of Engineering. His areas of expertise include structural nonlinear theory and analysis, vehicle-bridge interaction dynamics, and train-induced wave propagation. Bolanle Deborah Ikotun is a researcher and an associate professor in Civil Engineering department, University of South Africa. She has DIng, MSc (Eng) and B.Eng degrees in Civil Engineering from the University of Johannesburg, University of the Witwatersrand, South Africa and The Federal University of Technology Akure, Nigeria respectively. Her research interests are in concrete composite optimization, concrete mechanical and durability properties testing, concrete quality optimization techniques and investigation of extenders, industrial waste and agricultural wastes as they affect mortar and concrete properties. She has authored and co-authored articles in peer-reviewed conference proceedings and reputable journals. She has served as a reviewer for reputable journals and presently supervising postgraduate students. She is a recipient of many academic awards, which includes the Resilience in research award presented by the University of South Africa (UNISA). She has served as an organising committee member for two international conferences. She is a member of the Nigerian Society of Engineers (NSE), Concrete Society of Southern Africa (CSSA) and an Associate Member of South African institution of Civil Engineering (SAICE). Concrete mix design, concrete structural and durability properties testing, chemical deterioration of concrete, mechanical testing of concrete, concrete quality optimization techniques and investigation of extenders. Dr Marina Bock is a Lecturer in Civil Engineering in the School of Architecture and Built Environment at the University of Wolverhampton engaged in teaching and research activities since 2017. Marina Bock completed her studies in Civil Engineering at the Polytechnic University of Catalonia, Barcelona in 2010, where she also started working as a PhD researcher. After completing her PhD in Structural Engineering in 2015, she moved to the UK as a structural engineer for AECOM and carried out inspection, assessment and design of various structures. She has also acquired industry experience working for Tata Steel R&D in the Structural Design and Integrity group leading research projects to develop steel products for residential applications and investigating the structural response of honeycomb sandwich panels. Her principal research interests, in respect of which she has co-authored more than 10 journal articles and conference contributions, lie in the areas of structural testing, numerical modelling and the development of design approaches for steel and stainless steel structures. She has been involved in European and national funded research projects that have led to valuable contributions for designing with steel alloys. Marina received a Special Award by the Polytechnic University of Catalonia in 2017 for her research contributions. 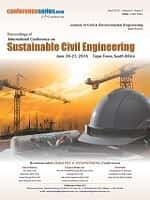 Marina Bock is also a general member of the Institution of Civil Engineers (ICE). Her principal research interests, in respect of which she has co-authored more than 10 journal articles and coference contributions, lie in the areas of structural testing, numerical modelling and the development of novel design approaches for steel structures. She has been involved in European and national funded research projects that have led to valuable contributions for designing with steel alloys. Dr. Liping Wang is an assistant professor of Architectural Engineering at the University of Wyoming. She is interested in improving energy efficiency throughout building life cycles. Her current research focuses on three areas: (1) real-time low/zero energy building design; (2) HVAC control system evaluation and optimization; (3) automatic fault detection and diagnostics. She has published many papers in peer-reviewed journals and conferences and have been an ad hoc reviewer for several Elsevier science journals. She is a member of the American Society of Heating, Refrigerating and Air Conditioning Engineers and a member of International Building Performance Simulation Association. Simulation modeling for building performance, Automatic fault detection and diagnostics for HVAC systems, HVAC control system evaluation and optimization, Low/zero energy building design, Computational airflow modeling, Indoor air quality, Total building performance and system integration. Gianluca Ranzi is currently an ARC Future Fellow, Professor and Director of the Centre for Advanced Structural Engineering at the University of Sydney. His research interests range from the field of structural engineering, with focus on computational mechanics, behaviour and design of steel, concrete, and composite steel-concrete structures, to architectural science, heritage conservation and high-performance buildings. Dr. Daniel Dias-da-Costa received a BS in Civil Engineering from the University of Porto and an MSc and PhD in Civil Engineering, from the University of Coimbra in Portugal. His current research interests include both numerical and experimental topics of structural engineering and material mechanics. In the first case, he addresses the development of finite element enrichment techniques and solution finding algorithms for highly non-linear problems in the simulation of fracture. The experimental research is focused on image processing techniques for structural assessment and monitoring, including the identification of strain localisation and cracking propagation. With ongoing advances in the construction industry involving the introduction of new building materials and technologies, our ability to predict the structural behaviour and safety of these innovations is critical. Dr Daniel Dias-da-Costa's research into advanced computational simulation techniques aims to enhance the safety of our built environment by addressing a wide range of building materials, including concrete, masonry and glass. "My research in structural engineering and material mechanics aims to introduce a new computational framework that will have a strong impact on practice engineering. This framework will effectively bridge high-end simulation and monitoring approaches, such that structural designers can explore the full potential of challenging construction designs. "I develop computational techniques that can be used to simulate real-life structural failure. This allows us to efficiently predict the behaviour and response of structures in such situations; for instance, when concrete starts crushing or cracking, or when reinforcing steel yields and slips against the concrete. "This is a very complex and computationally demanding task, and even high-end commercial software often fails to deliver reliable solutions. Therefore, I have been developing new programs to address this need. This approach has already shown good performance with a wide range of problems and materials. "I really enjoy performing experimental tests of large-scale structures, where I have the chance of pushing the materials to the limit. In this way I can deeply understand the structural response. I then bring this knowledge to my numerical models and am able to run simulations of different situations that cannot be tested otherwise. This combined approach is crucial to achieve safer design solutions. "I am passionate about my research because it can be applied to a wide range of different areas. This gives me the opportunity to deal with people from very different backgrounds, which in fact is what I find most enriching and rewarding about my work." Dr Mohotti has developed expertise in many interrelated areas in structural and materials engineering including extreme loadings on structures (blast and impact), wind loadings on buildings and development of smart materials. He is considered as an expert in advanced numerical simulations with his immense contribution to the development of this sector. In addition to his expertise as a researcher he has gained worthy of experience working as a structural engineer and a consultant. Dr. Damith is currently working as a lecturer in the School of Civil Engineering at the Faculty of Engineering and IT at University of Sydney. He currently works as a member of the industrial engagement committee of the school and hold the responsibility of delivering three key units of studies on design of concrete and prestressed concrete structures. The materials and methods used in the design and construction of built structures determines their capacity to withstand extreme loading, including strong winds, blasts and impacts. Designing such structures to withstand these natural and human-caused hazards, and thus protecting our critical infrastructure against them, is a particularly demanding area of today's research environment. Dr Damith Mohotti's work aims to advance this challenging and increasingly important area of structural engineering. M.Manikandan is the Sr. Structural Engineer at Gulf Consult-Kuwait with responsibility for Designing and Construction Consultation of the tall buildings, Colleges, Shopping Complexes, Multi story Car Parks, Hospitals, Bridges and Deep Underground structures by considering the Structural requirements and adequate construct able systems to complete the projects within allocated budget and time schedule. Prior to joining Gulf Consult-Kuwait, he has worked as Structural Engineer at several companies, including RECAFCO-Kuwait, SAEED HADI ALDOOSARY EST-Saudi Arabia, Where he has completed many Precast Structures and treatment plant including the deep underground structures with heavy equipment. Notable he is in the construction industry since past 15 years and has completed many land mark projects in Kuwait as well in Saudi. He is pursuing PhD in Risk Management in International Construction Projects as an External Part time researcher with Vels University Chennai-India and expected completion on end of 2015 and He has been received Civil Engineering Degree from Kamraj University Madurai-India on April, 2000 following that he has received MBA in Project Management from Sikkim Manipal University-India in 2012. Dr. Ravi Kiran Yellavajjala is an assistant Professor in Civil and Environmental engineering department at North Dakota State University. He received his Ph.D. in structural engineering from University of Notre Dame in Fall 2014. After his Ph.D., Dr. Yellavajjala worked as a postdoctoral researcher at Notre Dame and Brown University. Among other awards, he received 2014 O.H. Ammann structural engineering research fellowship, stood runner-up in 2014 computational mechanics poster competition and received 2008 German academic exchange fellowship. Dr. Yellavajjala is interested in enabling engineers to design resilient and sustainable structures by developing a fundamental understanding of how construction materials behave until failure under service and extreme loading conditions using principles of theoretical and experimental solid mechanics. Dr Yellavajjala's core expertise lies in the field of experimental and theoretical mechanics. Specifically, He is interested in microstructure and micromechanics based modeling of damage in engineering materials and structures. His other interests include constitutive modeling of materials, numerical methods, sensitivity analyses of structural response, forensic failure analysis and advanced visualization techniques. His research interests include advanced structural health monitoring techniques for structural condition assessment, extreme event identification through advanced sensing techniques such as fiber optic sensors, high fidelity dynamic responses of structures, and innovative vehicle bridge and pavement interaction. Create new civil engineering materials for sensing, excitation, strength and stiffness enhancement, material self-healing, and energy harvesting. Develop advanced modeling tools in simulating strength degradation due to fatigue and creep, fracture propagation, microstructure controlled behavior, tailored design of composites, and hydro-chemical-stress interaction. Integrate with industrials and DOTs implementing new PCC pavement repair materials (Geopolymer) and develop guidelines for Epoxy bonded anchor systems. Enhance engineering education through practice related student projects and research outcomes. Dr. Iraj H.P. Mamaghani is an Associate Professor in Civil and Environmental engineering department at University of North Dakota. He received his Ph.D. in structural engineering from Nagoya University, Japan in 1996. Among other awards, he received Evaluation of Self-Consolidating Concrete (SCC) for Use in North Dakota Transportation Projects: Sponsoring Agency: North Dakota Department of Transportation, Application of Sealing Agents in Concrete Durability of Infrastructure Systems. Sponsoring Agency: North Dakota Department of Transportation, Total: $47,450, 7/2005–4/2007. Dr. Sukhvarsh Jerath joined the Civil Engineering Department on August 1985. He obtained his Ph.D. in Theoretical and Applied Mechanics, University of Illinois. His Teaching and Research Experience includes Professor of Civil Engineering, University of North Dakota, 7/1991-Present; Associate Professor of Civil Engineering, University of North Dakota, 8/1985-6/1991; Assistant Professor of Civil Engineering, Washington State University, 9/1980-7/1985; Taught 8 Graduate (500 level) and 10 Undergraduate (200 to 400 level) different courses; Advised 1 Ph.D. and 16 masters’ students in the areas of Reinforced concrete beams, Stability of cylindrical storage tanks, Durability and properties of concrete, Vibration of pipes, Blast loading on steel frames, Earthquake loading on cylindrical shells, Impact factors for bridges due to moving loads, Nonlinear static and dynamic finite element analysis for earthquake loading. Dr. Atorod Azizinamini, P.E., Vasant H. Surti Professor of Civil Engineering, Director of Accelerated Bridge Construction University Transportation Center and Chairperson of Civil and Environmental Engineering Department at Florida International University, in Miami, Florida. Dr. Azizinamini was a Distinguished College of Engineering Professor and Director of National Bridge Research Organization at University of Nebraska-Lincoln, before joining FIU in Jan 2011. His research focuses in bridge engineering and has carried out more than $40M in research as a Principal Investigator. He has developed several bridge engineering products and systems that are being used nationally and internationally. Among the bridge systems that he has developed are folded plate steel bridge system, composite systems and simple for dead and continuous for live load system for steel bridges. Under SHRP2 R19A he led the development of the first and most comprehensive document and devoted to service life design of concrete and steel bridges. He has published more than 200 technical publications related to structures and bridge engineering. He routinely gives keynote talks at major national and international bridge engineering conferences. He has received a number of national awards, including: 2015 White House Champion of Change: Transportation Innovator, American Institute of Steel Construction (AISC), Special Achievement Award and several bridge innovation awards. He has organized and chaired numerous National Bridge Engineering Conferences and has taught more than 40 short courses to consultants and practitioners across the country on design of bridges. Dr. QIAN Xudong is currently an Associate Professor in the Department of Civil and Environmental Engineering at the National University of Singapore (NUS). He is currently the Director at Centre for Advanced Materials and Structures in NUS, and the co-director for NUS-JTC industrial infrastructure innovation centre. Prof Qian’s research interest focuses on experimental fracture mechanics, fracture and fatigue assessment for steel/offshore structures, welded tubular connections, steel-concrete-steel composite structures, brittle fracture assessment for Arctic applications, polymer composite materials for deep-water applications, structural resilience under extreme and impact loadings. He has published more than 120 papers in international journals and conferences. Prof Qian has been serving as members in different Technical Committees for the International Ship and Offshore Structures Congress. He is currently also a member of the ASTM E-08 committee on fatigue and fracture. 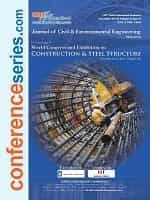 Experimental fracture mechanics, fracture and fatigue assessment for steel/offshore structures, welded tubular connections, steel-concrete-steel composite structures, brittle fracture assessment for Arctic applications, polymer composite materials for deep-water applications, structural resilience under extreme and impact loadings. Dr Konstantinos Tsavdaridis is Associate Professor and the Director of the research group focuses on steel and steel-concrete composite structures in the School of Civil Engineering at the University of Leeds. He holds a MEng from City, University of London and an MSc (DIC) from Imperial College London. His research expertise is in structural product development that embraces resilience and sustainability; particularly the development of innovative seismic-resistant structural members and systems, and testing large and full scale specimens. He has published some 100 scientific articles, journal publications, technical reports and international conference papers. Dr Tsavdaridis is also an inventor and he has filed a few patents on resilient, lightweight, and sustainable structural systems. He is an active member of the Working Group 8 of the International Association of Shell and Spatial Structures (IASS) and of the Task Groups 7.6 and 7.7 of the International Federation of Structural Concrete (fib). He is a Chartered Civil Engineer in Greece and the UK (CEng), a Fellow of the Institution of Civil Engineers (FICE), a Member of the American Society of Civil Engineers (MASCE), and a Registered Civil Engineer in Europe recognised by the European Federation of National Engineering Associations, FEANI (EUR ING). Development of innovative seismic-resistant structural members and systems, and testing large and full scale specimens.He has filed a few patents on resilient, lightweight, and sustainable structural systems. Dr Lin Shaopei, professor, Civil Engineering Department in Shanghai Jiao Tong University; Fellow and Chartered Engineer of the Institution of Civil Engineers (ICE, UK) and CEO of ICE China Education and Training Center. He has been the chair of AI application panel, Chinese Society of Civil Engineering. His award includes the Government Special Allowance of the State Council PRC in 1991, the Lifetime Achievement Award of PMI (China) in 2012, the Excellent Service Award of ICE in 2015 and the Service Achievement Award of PMI GAC in 2016.He has had a long-term experience in engineering research during past 60 years and had been research professor in Cornell University, USA and Hong Kong University and published Eight books and nearly 200 papers in domestic and international Journals, conferences covering a variety of disciplines, including engineering, economics, system engineering, computational mechanics, IT & computer application, fuzzy mathematics and artificial intelligence applications, etc. Dr. Yoshiaki Goto is a project Professor of Next Generation Seismic Design Laboratory and an Emeritus Professor of Civil Engineering at Nagoya Institute of Technology, Nagoya, Japan. He received his doctor's degree in civil engineering from the University of Tokyo. He is a fellow of Japan Society of Civil Engineers (JSCE) and served as a Director of academic affairs. He now chairs JSCE and JSSC committees for seismic design specifications for steel & composite structures. He has published more than 250 technical papers. He received JSCE Awards such as Award for outstanding research achievement (2010), Award for outstanding research publication (2009) and Tanaka Award for outstanding research publication in bridge engineering(1997). Dr Lau is currently Dean of Faculty of Engineering and Science, Curtin University Malaysia campus. Professor Lau is a long serving member of Curtin University Malaysia campus community where he has accumulated over 14 years of teaching experience at Curtin University in the field of Civil Engineering. Prior to joining Curtin University Malaysia Campus, he worked in the consulting industry Professor Lau received the Bachelor of Engineering (Honours) in Civil Engineering and PhD degrees from Oxford Brookes University, UK. He is a Professional Engineer with Practicing Certificate registered with Board of Engineers Malaysia (BEM) and also Chartered Professional Engineer with Engineers Australia. Professor Lau is also Vice Chairman 1 of The Institution of Engineers Malaysia (IEM), Miri Branch and one of the founding members and the Honorary Secretary of the Malaysia Cold-formed Steel Institute (MyCSI). Dr Xuechun Liu is a vice-professor in the Beijing Engineering Research Center of High-rise and Large-span Pre-stressed Steel Structures at the Beijing University of Technology. National First Class Registered Structural Engineer of China. He received his Ph.D. in Structural Engineering from the Beijing University of Technology. He is a Trustee of the Fatigue and Stability branch and Steel Structure Design Branch of China Steel Construction Society and Executive director of steel structural building branch of China steel construction society. He Published more than 90 papers, in which 30 papers were indexed by SCI / EI and have 100 patent ownerships,Organized and attended over 10 the National Key Research and Development Program of China, the National Natural Science Foundation of China, the Beijing Municipal Natural Science Foundation. Dr Airong Liu is currently working as Professor and Director of Guangzhou University-Tamkang University Joint Research, Centre for Engineering Structure Disaster Prevention and Control at Guangzhou University, People’s Republic of China. She was externally appointed as Vice director of China International Science and Technology Cooperation Base, Vice director of Guangdong Engineering Technology R&D Center, Council member of The Chinese Society of Theoretical and Applied Mechanics on Civil Engineering. Also she works as Reviewer of ‘Journal of structure engineering’, ’Journal of bridge engineering’, ‘International of structural stability and vibration’, ‘Journal of Constructional Steel’, ’Engineering Mechanics’, ’Chinese Journal of Computational Mechanics’. Dr Qiu-Sheng Li is Chair Professor of Civil Engineering and the director of Architecture and Civil Engineering Research Centre at City University of Hong Kong. He graduated from Shanghai Jiao-Tong University with BEng in 1984 and from Harbin Institute of Technology with MEng in 1987. He obtained his PhD from Monash University in 1996 and his PhD thesis was awarded Professor K.H. Hunt Medal. His research areas include wind engineering, structural dynamics and computational mechanics. He has published four books and over 280 refereed international journal papers. Prof. Li has received several awards for his academic contributions including National Natural Science Foundation of Chinese Outstanding Oversea Scientist Award in 2004 and The First Class Award of the Scientific and Technological Progress from the Ministry of Education of China in 2010. He was appointed as Chang Jiang Chair Professor by the State Education Ministry of China in 2007 and National Expert of the 1000 Talent Scheme by the Ministry of Human Resources of China in 2013. In particular, Prof. Li is the recipient of the 2016 Jack E. Cermak Medal from the American Society of Civil Engineers, the highest honour in wind engineering, in recognition of “his many contributions to wind engineering that range from fundamental to applied research”. Currently, he is an associate editor of Journal of Structural Engineering, ASCE and an editorial board member for fifteen international journals. Ezzeldin Yazeed Sayed-Ahmed is a Professor and the Graduate Program Director in the Department of Construction Engineering, the American University in Cairo. He is a Fellow of the Academy of Scientific Research and Technology, and a Reinforced Concrete and Steel Structures Consultant in Egypt. He is also a Professor Emeritus in Ain Shams University and served as the Acting Director of its Credit Hours Engineering Programs between 2007 and 2008. He was the Associate Dean of the College of Engineering of Qatar University between 2005 and 2006. He is currently a voting member of the permanent committee for the Egyptian Code of Practice for Fibre Reinforced Polymers and the Chair of the Technical Subcommittee preparing the first Egyptian code of practice for Composite Polymers Structures. He was a member in many engineering societies such as IABSE (Switzerland), CSCE and CPCI (Canada), ASCE, SEI and TMS (USA).He has a USA Patent, 142 publications of which 53 papers in refereed Journal. Ezzeldin Yazeed designed/design-reviewed many iconic projects such as the Four 140 m high Minarets of Al-Haram AlMakki Extension, (KSA), Al-Haram AlMakki FRP Temporary Mataf, King AdbdulAziz Endowment Tower FRP Clock, Cambambe Hydroelectric Power Plant and Dam (Angola), Storm-water Drainage for Muzdalifah, (KSA), National Guard Five Specialized Hospitals (KSA), etc. •	Steel Structures and Bridge •	Advanced Composite Materials •	Strengthening of Structures •	Seismic Behaviour of High-Rise Buildings with Transfer Floors •	Mass Concrete in Dams •	Structural Response to Subsurface Blasting •	Concrete Masonry Structures •	Biomechanics Engineering, and Engineering Education. Dr Masoud Motavalli is a Professor at Empa, Swiss Federal Laboratories for Materials Science and Technology, Professor at the University of Tehran, lecturer at ETH-Zurich and Adjunct Professor at Monash University in Australia. He obtained his Doctor of Engineering at the Swiss Federal Institute of Technology, ETH-Zurich in 1992. His laboratory at Empa is one of the largest structural engineering laboratories for carrying out full scale structural tests in Europe. His research interests are the application of advanced materials such as multi layered fiber reinforced polymers and shape memory alloys in civil engineering structures, micro and macro mechanical behavior of these materials, rehabilitation and repair of existing structures with post-tensioned advanced materials. He is a council member of IIFC and ISHMII, Member of the ASCE Committee on Performance Based Design and Evaluation, as well as member of the editorial board of several journals such as Journal of Civil Structural Health Monitoring. He organized or co-organized several successful international conferences, such as CICE2008 in Zurich, SHMII2009 in Zurich, SMAR2011 in Dubai, SMAR2013 in Istanbul and SMAR2015 in Antalya and SMAR2017 in Zurich. Dr. Fatimah De’nan is currently an Associate Professor for School Of Civil Engineering at Universiti Sains Malaysia. She pursued her Ph.D. in Civil Engineering – Steel Structures. Before joining the USM, she worked for consultant firm and had significant exposure to several field and design works. While being at the USM, she continues providing consultancy services especially in steel structures design and testing to the industries. Her main research interests are Steel Structure, Concrete Structure, Structural Analysis, Design and Testing, Finite Element Analysis, Non Uniform Steel Section Behavior and Thin Structure. Structural Engineering subjects taught includes Design of Steel and Timber Structures, Concrete and Fluid Mechanics Laboratory, Structural Engineering and Strength of Materials Laboratory, Reinforced Concrete Structural Design 1, Strength of Materials, Integrated Design Project, Dynamics and Stability of Structures, Principles of Structural Design, Advanced Structural Mechanics. Since 2011, she was appointed as a member of an academic panel (Engineering Division) for the Matriculation Programme, Ministry of Education, Malaysia. She is active in publishing papers for International Journals, Conferences and Seminars, and reviewing papers for International Journals and Conferences. Dr Fatimah actively involves in professional organizations such as Education Committee Member of Malaysian Structural Steel Association (MSSA), Member of Concrete Society of Malaysia (CSM), and Committee Member of Experimental Society of Malaysia. She received 4 International awards for her research products in 2011, 2012 and 2016. In National level, she had received 9 awards since 2012 until present for Open Ideas Steel competition by Malaysian structural Steel Association (MSSA). Other than that, she also actively involved in community service and had received a excellence achievement (one award for national level and 4 awards for university level) in community service in 2015 and 2016 from USM. She also has a copyright for her steel product, patent pending and several copyright ready to publish. Dr James Lim has been a full-time academic since 2007, having previously worked at University of Strathclyde and Queen's University, Belfast, before joining University of Auckland in 2014. Prior to this, I worked at the Steel Construction Institute (SCI), the UK equivalent of HERA. His research interests lie in the field of steel-framed structures, including cold-formed steel, portal frames and composite construction. His research is dominated in trying to understand fundamental structural behaviour, for which he employ a combination of numerical modelling and full-scale testing. More recently, his research includes structural engineering applications to Building Information Modelling (BIM). Cold-formed steel, Composite construction, Building Information Modelling, Portal frames, Trusses, Genetic Algorithms, Concrete filled steel tubes. Dr Piero Colajanni is Associate Professor of Structural Engineering at the Department of Civil, Environmental, Aerospace, Materials Engineering (DICAM), University of Palermo. He has his MsC in Civil Engineering (1990), and PhD. in Structural Engineering (1995) at Palermo University. In 1996 was visiting assistant Professor at Florida Atlantic University, Department of Mechanical Engineering, researcher of Engineering and Solid Mechanics in 1997, and Associate Professor in Structural Engineering in 2001 at University of Messina. In 2013 moved to University of Palermo, where nowadays teaches Building Structural Analysis and Design and Seismic Design of buildings. Since 1991 is member of Italian National Association of Earthquake Engineering and was promoter and president of the scientific committee of Master in Seismic Engineering at University of Messina in 2003 and 2006. Author of more than 150 papers on international and national journals, and conference proceedings. The research activities include in the fields of Structural Engineering and Seismic Engineering, focused of Procedure for Seismic Design, Vulnerability Assessment and Retrofitting of Buildings, the use of innovative devices and materials for seismic protection of new and existing structure and design of Hybrid Steel Truss Concrete Beams. He participated on several national research projects and currently is the managing director of the operative unit of Palermo in the Reluis DPC 2014-2017 project. Dr Ali Said Mohammed Alnuaimi is currently an Associate Professor in the Department of Civil and Architectural Engineering at Sultan Qaboos University, Oman. He earned his Ph.D. in Structural Engineering from University of Glasgow, UK. He published various journals and attended several Conferences. He is also a Peer reviewer for articles submitted different international Journals. He acted as Deputy Chair, Gulf States, GCC, Building Code, Oman Committee (May 2013-Feb. 2015).He developed new courses from scratch like Concrete structures, CIVL5096 , Administration of Contracts, CIVL 5678 ,Estimating Construction Cost, CIVL 5156 , Numerical Methods for Engineering, CIVL5146 and taught them at the college of engineering .He was recognized as Best session presentation of “International Conference on Innovations in Engineering and Technology (ICIET'2013), Bangkok, Thailand, Dec. 25-26, International Institute of Engineers. Dr Syed Abid Ali Shah is a Full time Chairman & Professor of Civil Engineering Department at International Islamic University, Islamabad, Pakistan. He pursued his Post doctorates in Structural Engineering and Structural Mechanics. He is Registered as Professional Engineer with Pakistan Engineering Council (Life Registration), Member German Engineering Research Foundation (2001-2005),Member Technical Committee for Concrete Reinforcing Materials, Botswana Bureau of Standards (Member of International Organization for Standardization-ISO), Gaborone Botswana-Southern Africa (2005-2006),Member Saudi Council of Engineers (2009-Present).His Experience and skills enlighten working with Large structural frames (6000 kN capacity) for testing of large scale proto-type flexural and compression members and ACI code, ASTM, AISC, LRFD standards for analysis and design of steel structures, German and Japanese standards for design of concrete structures. Dr Hyo-Gyoung Kwak is a Professor for Department of Civil and Environmental Engineering at Korea Advanced Institute of Science and Technology (KAIST).He earned his Ph.D. in Civil Engineering and presently working as Department Head. He undertook various gatherings as Organizing Committee Member for related fields. He focuses on Computational nonlinear mechanics for geo-materials, Prognosis assessment of damaged or rehabilitated concrete structures, Time-dependent analysis of reinforced and pre-stressed concrete structures, Design methodologies of civil infra-structures considering the construction sequence, Performance prediction of retrofitted infrastructures with composites, Design and construction of long-span bridges, Smart structure technologies for IT convergence urban space. Also he is affiliated as Fellow, Korean Academy of Science and Technology, 2012 – present. Dr Mohd Hilton Bin Ahmad is currently an Associate Professor in the Department of Structures and Materials Engineering for Faculty of Civil and Environmental Engineering at Universiti Tun Hussein Onn Malaysia(UTHM).He pursued his Ph.D. in Structures and Materials Engineering at University of Surrey, United Kingdom.He has published various journals in related to Structural Engineering and done several researches. He was Professionally engaged with Board of Engineers, Malaysia (Graduate Member, Ref. No: 41531 R), Institute of Engineers Malaysia (IEM Malaysia) (Graduate Member, Membership No: 27641), Society of Concrete Malaysia (PERKOM) (Corporate Member) . Dr. HE Jun is currently an Associate Professor and the Director of the research group focuses on steel and steel-concrete composite structures in the School of Civil Engineering at the Changsha University of Science and Technology, People’s Republic of China. He obtained his PhD degree (Bridge Engineering) from Tongji University, China, and then worked as a Postdoctoral Fellow at Waseda University, Japan, before He joined CSUST. His research interest includes experimental and theoretical investigations into various forms of hybrid structures, steel-concrete composite joints and girders, GFRP/concrete composite decks; life cycle design and maintenance of bridges, and the finite element simulation of various structural problems, including the simulation of various engineering materials (e.g. concrete, steel and FRP composites). He has published various scientific articles, journal publications, technical reports and international conference papers. Dr. He has been serving as a member of the ASCE, JSCE, IABSE, IABMAS and IALCCE. Also, Dr. He has been invited to be a reviewer for several refereed international journals (e.g. 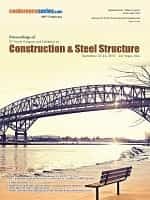 Composite Structures, Composites Part B: Engineering, Journal of Constructional Steel Research, Construction & Building Materials, Engineering Structures, Steel and Composite Structures, etc.). Dr. Nariman Khalil is an associate professor in the department of civil engineering at the University of Balamand. She received her Ph.D. degree in reinforced concrete structures from the University of Leeds- England in 1991. She has more than two decades experience in teaching structural analysis and reinforced concrete design and providing consultancy for private and governmental sectors in the Middle East. Her technical publications in refereed journals and peer-reviewed conferences span multiple areas and disciplines including structural stability and design, concrete technology, high way materials and engineering education. Dr. Khalil also excelled in national and international activities and is consistently involved in the organizing and chairing international scientific conferences. She is a member of several professional organizations such as the American Society of Civil Engineers (ASCE) & the American Concrete Institute (ACI). She is a founder and Board member of the Middle East Society of Asphalt Technologists (MESAT). She recently initiated the first ACI Student Chapter in Lebanon and serving as the Chapter Advisor. Dr Urmil V.Dave is currently working as Professor for Department of Civil Engineering and coordinator, Academic Development and Research (ADR) Cell at Nirma University. He has 20 Years of teaching & 2 years of industrial experience. He taught most of the subjects of Structural Engineering and Concrete Technology also involved in consultancy and testing work related to Concreting materials and Repair & Rehabilitation of structures. He works as a Reviewer for various journals and working as Secretary and treasurer of Indian Concrete Institute, Ahmedabad. He has been invited for giving expert talks in various programs by companies and academic institutions. Konstantinos Tsavdaridis is the Director of the research group focuses on steel and steel-concrete composite structures at the University of Leeds. He holds a MEng from City University London and an MSc (DIC) from Imperial College, London. His research expertise is in structural product development that embraces resilience and sustainability; particularly the development of innovative structural systems and members, and testing large-full scale structures. He has published more than 60 scientific articles, journal publications, technical reports and international conference papers. He is a member of ASCE, Professional Chartered Civil Engineer and registered at the European Federation of National Engineering Associations. S.F. Stiemer has worked for more than thirty years highly successful in research and development in the engineering field covering aeronautical, civil, and production engineering. His academic achievements were recognized internationally by becoming Fulbright Fellow in Berkeley, USA, and A.v.Humboldt Scholar in Stuttgart, Germany. Dr. Stiemer was one of the early users of the C programming language, following up with many applications of own developments: stiffness matrix programs, educational multimedia projects, data acquisition and reduction of experimental testing of dynamic characteristics of buildings and bridges. He can be looked upon as a modern researcher emphasizing interdisciplinary issues of mostly practical value. Dr. Venkatesh Kodur, Fellow of Canadian Academy of Engineering, is a Professor and Director of the Centre on Structural Fire Engineering and Diagnostics at Michigan State University.His research contributions has lead to the development of fundamental understanding on the fire behavior of material and structural systems and also resulted in numerous design approaches and innovative and cost-effective solutions for enhancing fire-resistance of structural systems. He has published over 300 peer-reviewed papers in journals and conferences, and has given numerous invited key-note presentations.Prof. Kodur is a Fellow of the Canadian Academy of Engineering and a Foreign Fellow of Indian National Academy of Engineering. He is a professional engineer, Fellow of American Society of Civil Engineers, Fellow of Structural Engineering Institute, Society of Civil Engineers, Fellow of American Concrete Institute, Associate Editor of Journal of Structural Engineering, Chairman of ACI Fire Protection Committee, Chairman of ASCE-29 (Fire) Standards Committee and a member of UK-EPSRC College of Reviewers. He has won many awards including AISC Faculty Fellowship Award, MSU Distinguished Faculty Award, NRCC (Government of Canada) Outstanding Achievement Award and NATO Award for collaborative research.Dr. Kodur was part of the FEMA/ASCE Building Performance Assessment Team that studied the collapse of WTC buildings as a result of September 11 incidents. Dr. Zuheir Barsoum is an associate professor at KTH Royal Institute of Technology where he is directing a research group on steel structures. He is chairman within the International Institute of Welding (IIW). He has published more than 90 papers in reputed journals and international conferences and received awards for his research. He has been involved in, beside university curriculum development and teaching, in developing international vocational training program in welding and design. He is a frequently engaged consultant within the industry as an expert within structural integrity. He is currently a visiting associate professor at Khalifa University in Abu Dhabi. Dr. Amr Sweedan is the Chairman of the Civil and Environmental Engineering Department at the UAE University. Before joining the UAE University in 2005, Dr. Sweedan held the position of a Senior Engineer at the head office of Rowan Williams Davies & Irwin Inc. (RWDI), Consulting Engineers and Scientists, in Ontario, Canada. Dr. Sweedan earned his Ph.D. in Structural Dynamics from the University of Western Ontario, Canada. He is a registered professional engineer in the province of Ontario, Canada (P.Eng.). In addition, he is a member of several professional societies including the American Society of Civil Engineers (ASCE) and the Canadian Society of Civil Engineering (CSCE). Dr. Sweedan’s areas of research interest include: Modeling and Testing of Solid, Cellular and Castellated Steel Elements; Strengthening of Steel Structures using FRP; Response of High-rise Buildings to Seismic and Wind Loading; and Stability and Behavior of Shell Structures under Hydrostatic and Hydrodynamic Pressures. Dr. Osama Mohamed has more than 22 years of combined professional and academic experience in the area of structural engineering. He is the founding chair of the Civil Engineering Department at Abu Dhabi University. He is also the Associate Dean of the College of Engineering at Abu Dhabi University. He is a licensed Professional Engineer (P.E.) in the Commonwealth of Virginia, USA. Dr. Osama is a member of the American Institute of Steel Construction (AISC) and the American Society of Civil Engineers (ASCE). His primary research interests include stability of steel structures and progressive collapse resistant design of building structures. In addition, he published articles on earthquake resistant design of steel and concrete structures. Dr. Osama received several awards for excellent service and teaching at Abu Dhabi University. Dr. Osama was faculty member at the University of Hartford, USA, prior to joining Abu Dhabi University. Hamidi Abdul Aziz is a professor in the School of Civil Engineering of Universiti Sains Malaysia. Professor Aziz received his PhD degree in civil engineering from the University of Strathclyde in Scotland in 1992. To date, he has published over 200 refereed articles in professional journals and proceedings. Dr Aziz continues to serve as a peer reviewer for more than 30 international journals. Professor Aziz currently serves as the editor-in-chief of the IJSRES. He also serves as the managing editor of the IJEWM and the IJEE. Aside from these, he is a member of the editorial board of 10 other international journals in the environmental discipline. Professor Aziz served as a member of the International Advisory Committee of the Center of Excellence in Environmental Science (CEES) in King Abdul Aziz University in Jeddah, Saudi Arabia. bioremediation of crude oil in contaminated coastal sediments,Heavy metals removal from water,Solid waste management-waste characterization, quantification and recycling, landfill technology. Dr. Zhanping You, professor in the Department of Civil and Environmental Engineering at Michigan Technological University, earned his Ph.D. in civil engineering from the University of Illinois at Urbana-Champaign in USA.He was awarded a prestigious fellowship from American Society of Civil Engineers to participate the ExCEEd Teaching Workshop at the United States Military Academy.He has published over 130 peer reviewed papers and dozens of other papers. His research projects have been funded by the National Science Foundation (NSF), U.S. Environmental Protection Agency (U.S. EPA), Federal Highway Administration, Michigan Department of Transportation (MDOT), and Texas Department of Transportation (TxDOT). Professor You has serves as an associate editor for the American Society of Civil Engineers’ (ASCE) Journal of Materials in Civil Engineering since 2008. He is also a member of the Board of Directors for the International Journal of Pavement Research and Technology, Malaysian Construction Research Journal (MCRJ) and a few other journals.He was a lead editor of four ASCE Special Publication books.He was a lead guest editor for a special issue of Journal of Materials in Civil Engineering. He won the U.S. Department of Transportation’s Dwight David Eisenhower Transportation Faculty Fellowship when he was in Texas. Prof. Khalifa Al-Jabri obtained his PhD in structural fire engineering from Sheffield University, UK in 2000. He is currently Professor and Head of the Department of Civil and Architectural Engineering at Sultan Qaboos University, Oman. He published more than 110 papers in international Journals and Conferences. His main research interests are Behaviour of structures in fire, use of waste materials in Civil Engineering applications and Seismic Hazard Assessment. He is peer reviewer in more than 30 journals and he is member in the editorial board of several journals such as Structural Fire Engineering Journal. Professor Lin-Hai Han is head of Department, Department of Civil Engineering, School of Civil Engineering, Tsinghua University, Beijing, China.He has published 4 books, more than 100 refereed journal papers (including 80 international journal papers), and 60 refereed international conference papers.He is one of the outstanding Young Researchers awarded by the National Natural Science Foundation of China. He is widely consulted by the industry and government authorities on a wide range of structural engineering projects.He has played an important role in drafting several designing codes on steel-concrete composite structures in China. Prof. Han holds roles on the Editorial Board for the Elsevier Journal of Constructional Steel Research, the Techno-Press Steel and Composite Structures, the Hong Kong Institute of Steel Construction (HKISC) International Journal of Advanced Steel Construction, the Multi-Science Publishing Journal of Structural Fire Engineering, and four national journals in civil engineering in China. Dr. Raja Rizwan Hussain, Associate Professor at CoE-CRT, Civil Engineering Department, College of Engineering, King Saud University, KSA.He is the editor of several ISI-indexed international journals. He has also served as guest editor for several international ISI-indexed journals.Dr. Hussain has authored more than 150 research publications including ISI-indexed journal papers, international conference proceedings, edited books, editorials, expos, invention shows and exhibitions, technical reports etc. He is also an inventor of 5 US & WO international patents.He has secured more than 15 national and international research grants worth millions of US Dollars. He is an active member of more than 20 international societies, organizations, councils & committees.Dr. Hussain has received more than 60 medals, awards, prizes and distinctions throughout his research, academic and professional career. Yassin AL-Kour is a Senior Geotechnical Engineer in K&A Lebanon. He is the member of Professional Societies Order of Syrian Engineers (OSE),Member of the International Society of Soil Mechanics and Geotechnical Engineering (ISSMGE), Syrian Soil of Mechanics Society (SSMS) and also Syrian Society of US Graduates (SSUSG).He has 25 years of experience in the geotechnical engineering domain. deep and shallow foundations design, earthworks design, sand dunes mitigation, materials, slope stability, site investigations, preparation and follow-up on geotechnical investigation programmes, interpretation of investigation results. Dr.Nicola Pugno is the Professor of Solid and Structural Mechanics at the University of Trento (Department of Civil, Environmental and Mechanical Engineering).He is also the Founder of the Laboratory of Bio-Inspired Nanomechanics “Giuseppe Maria Pugno” at Politecnico and the Laboratory of Bio-Inspired & Graphene Nanomechanics at the University of Trento.Dr. Pugno,is a member of the scientific and technical committe of the Italian Space Agency (ASI). He has recived several awards like, ERC Starting (Consolidator) Grant 2011 BISHNAM on “Bio-inspired hierarchical super nanomaterials”;ERC Proof of Concept 2013-1 REPLICA2 on “Large-area replication of biological anti-adhesive nanosurfaces”; ERC Proof of Concept 2013-2 KNOTOUGH on “Super-tough knotted fibres”. He is also associated with several journals. Dr. Pugno is the editor in chief of Frontiers in Materials - Mechanics of Materials, Bio-Inspired Materials, Academic Editor of PLoS ONE and Editorial Board Member in Biological Physics of Scientific Report. In addition, he is the Editorial Board member for 44 Int. Journals. Fábio Duarte is urban planner, having worked as the head-consultant for the transportation and urban mobility plan of Curitiba, Brazil, among other projects. Professor of urban management at the Pontificia Universidade Catolica do Parana, in Curitiba, Dr. Duarte has been visiting professor at the Polytechnic University of Catalunya, Yokohama National University in Japan, and visiting scholar at the Massachusetts Institute of Technology, U.S. Currently, Dr. Duarte is research associate at Harvard Graduate School of Design, and consultant for the World Bank.In 2005 he received the Faculty Enrichment Award from the Government of Canada. Research and Consultancy are in the broad field of Sustainable Construction/Structural Materials. Expertise includes the utilisation of waste/recycled and novel materials in cement based systems to produce construction materials (e.g. concrete, pavement). Yu. Korobov developed technologies of Welding and Thermal Spraying for military and civil products at Uraltransmash (Ekaterinburg, Russia) for 23 years. Since 2012 he is engaged as a Head of the Welding Technology Department in the Ural Federal University. His research activity is tied with modeling of high temperature physics-chemical interactions, investigations of structure and properties of the coatings. He is an author of 240 publications and 25 inventions. More than 20 Thermal Spraying bays in enterprises of metallurgy, power engineering, gas-oil were launched under his technical guide. He is a Director of the Ural Welding Institute, ASM-TSS member. He was marked as the Honored Inventor of Russia. Professor Brian Uy is the Director of the Centre for Infrastructure Engineering and Safety (CIES) at The University of New South Wales. Brian has co-authored over 600 publications including 160 journal articles and has delivered over 250 conference papers in 35 countries, including over 50 keynote/invited lectures in 15 countries. He has been involved in research in steel and composite structures for over 20 years and is the Chairman of the Standards Australia Committee BD32 on Composite Structures and he is a member of BD90 on Bridge Structures which are developing standards on Steel and Composite Structures for buildings and bridges respectively. He has been the Chairman of the Australia Regional Group of the Institution of Structural Engineers since 2012. Brian is the Chief Editor (Asia-Pacific) for Steel and Composite Structures and he also currently serves on the American Institute of Steel Construction (AISC) Task Committee 5 on Composite Construction. Dr. Syed M. Ahmed is Professor and Chairperson of the Department of Construction Management at East Carolina University in Greenville, North Carolina USA. Prior to that, he was an Associate Professor and Graduate Program Director in the Department of Construction Management,College of Engineering & Computing, Florida International University (FIU) and an affiliated faculty of the Department of Civil & Environmental Engineering at FIU. Dr. Ahmed received his Ph.D. in 1993 and his MSCE in 1989 from Georgia Institute of Technology majoring in Construction Engineering & Management, with a minor in Industrial Engineering and Management Science. He also holds an undergraduate degree of BSCE from University of Engineering & Technology in Pakistan (1984).He has over 25 years of international experience in teaching, research and consulting in Pakistan, Hong Kong, USA, Mexico,and Jamaica.He has generated substantial external support and revenue from various funding agencies including United States Agency for International Development (USAID), US Department of Defense, and Florida Department of Education and through his international conferences. He is the author of four books and has also published extensively (over 150 publications) in international journals and conferences in his areas of expertise. Dr. Ahmed is currently on the editorial board of more than 6 international journals and serves as the Associate Editor of ASCE Journal of Construction Engineering & Management and the Associate Editor of the Built Environment Project & Asset Management (BEPAM) Journal. Halil Sezen is a Professor of Structural Engineering in the Department of Civil, Environmental and Geodetic Engineering at The Ohio State University (OSU) in Columbus, Ohio U.S.A. He received his B.S. degree from Middle East Technical University, Ankara, Turkey in 1993. He received his Master’s degree from Cornell University, Ithaca, New York, and his Ph.D. degree from the University of California at Berkeley. He is a fellow of the American Concrete Institute. Halil Sezen’s research focuses on computational simulation and experimental testing of structures under extreme loads including earthquakes. He has been investigating collapse performance of reinforced concrete and steel buildings through field experiments and numerical simulations. Dr. Cheng Yu, Associate Professor and Program Coordinator, is a faculty member of the Construction Engineering Technology program at University of North Texas. He earned both his Ph.D., and M.S. in Civil Engineering from Johns Hopkins University and received his B.E. in Civil Engineering from Tsinghua University, China in 1998. Dr. Yu' research interests include structural behaviors of light framed steel buildings subjected to multi-hazards, structural design of cold-formed steel structures, earthquake engineering and structural control, innovative construction materials and structures, and Building Information Modeling, His current projects are focused on developing high-performance light steel structural systems for low- and mid-rise buildings. Dr. Yu serves on several technical committees in American Society of Civil Engineers, American Iron and Steel Institute, and Structural Stability Research Council. He is a recipient of 2010 Faculty Early Career Development Award from National Science Foundation. Dr Walid Tizani is an associate professor at the Department of Civil Engineering, Faculty of Engineering, The University of Nottingham. He is the Head of the Centre for Structural Engineering and Informatics. His main research areas are the application of novel informatics in the areas of structural engineering and construction and the performance of steel connections. In the area of the use of informatics, his experience includes building information modelling, process and product modelling, process re-engineering, integrated and multi-aspect design and construction (nD modelling), and virtual prototyping. He used and developed techniques and algorithms using visualisation and VR, object-oriented and knowledge-based technologies. He researched in the area of construction-led design, economic-led design, information modelling for the sustainability appraisal of buildings and collaborative and integrated approach to design and construction. In the area of structural steelwork connections, he devised moment-resisting blind-bolting technologies to concrete-filled columns. He researches in the area of the performance of connections using model and component-based approaches. Yong Wang graduated from South West Jiao Tong University in China in 1984 and was awarded a British Council Scholarship. He came to the UK in 1985 and earned his PhD in Structural Engineering from the University of Sheffield in 1988. He worked for eight years at the Building Research Establishment (including as a core member of the BRE team that carried out the Cardington structural fire tests) prior to joining the University of Manchester in 1997. His main research interests are structural and fire engineering, steel and composite structures and fire protection materials and systems. He is a Chartered Engineer, Fellow of the Institution of Structural Engineers and the UK's Higher Education Academy. He is the Leader of the Structural & Fire Engineering theme. Mostafa Fahmi Hassanein has completed his Ph.D at the age of 31 years from Tanta University, Egypt. He is currently an "Associate Professor of Structural Engineering" at the Department of Structural Engineering at the same University. He has published 27 papers in international journals, at which all were published by Elsevier (Engineering Structures, Thin-Walled Structures and Journal of Constructional Steel Research), except one which was published in the Proceedings of the Institution of Civil Engineers - Structures and Buildings. He has published 6 international journal papers where he is the sole author. In 17 international journal papers, he was the first author of the research teams that included international collaborations. In the remaining 4 international journal papers, he was working as a co-author with a research team. His research works show his ability to collaborate with researchers from different disciplines and countries. He has worked with Nuno Silvestre (Technical University of Lisbon, Portugal) in the lateral-distortional buckling of steel beams and the results were published in two international papers. Then, he has collaborated with Qing Quan (Stephen) Liang (Victoria University, Australia) in three international papers to examine the axial compressive behaviour of thee different composite columns all with outer stainless steel tubes. Recently, he has investigated the double-skin composite columns by the collaboration of Leroy Gardner (Imperial Collage, UK). Other collaboration is currently under preparation with a research team from Universitat Politècnica de Catalunya, Spain. All of these scholars had different backgrounds. He has served as a reviewer for different reputed journals (i.e. the Theoretical and Applied Fracture Mechanics, Thin-Walled Structures, The Arabian Journal of Science and Engineering, Engineering Structures, Computers and Concrete, An international Journal, Recent Patents on Mechanical Engineering, Steel and Composite Structures, An International Journal and the Latin American Journal of Solids and Structures, all published by Elsevier and other reputed publishers) and conferences (ARMA 2014) and proposal research grants (National Science Centre, Poland). He has also invited to the 8th European Solid Mechanics Conference (ESMC), Graz, Austria, 2012 as an "Invited Speaker". Recently, he has awarded the "State's Incentive Award in the Engineering Sciences" in 2015 from the Academy of Scientific Research and Technology, Egypt. He has passed several training courses given by the National Center for Faculty and Leadership Development (NCFLD) "International Board of Certified Trainers (IBCT) Middle East & North African Division" such as: Research Ethics, Time and Meeting Management, University Administration, The Credit Hour Systems, Effective Presentation Skills, Conference Organisation Program, Students' Evaluation, just as examples. Also, he has participated in a doctoral steel course in Sweden, as a scholarship from Lulea University of technology. In addition, he has attended, as a grant, a workshop in Egypt entitled "Building early career researcher's capacity to investigate, evaluate and disseminated the impact of technology on learning and teaching in schools, colleges and universities" from 9-13 February 2015. More recently, he has participated in the DAAD Alumni Conference titled "Towards a Knowledge Society? Strategies and Challenges for the 21st Century" on the 9th and 10th of October 2015 in Alexandria, Egypt as a grant from The German Academic Exchange Service (DAAD). His research is focused on the analysis and design of steel and composite structures. His current research in these areas aims at improving the Design Codes and Standards that are currently used worldwide (e.g. EC3, EC4, AISC, AASHTO and AS 4100), to design more effective structures with minimised initial material costs and life-cycle costs. Ayman Batisha holds a PhD degree in Civil Engineering from Cairo University (Egypt, 2001). He has been practicing, consulting, training, and researching in Sustainability for over twenty-four years. He was a faculty at Cairo University. He is a certified Environmental Consultant “Environmental Impact Assessment (EIA)”. He is the founding Editor-in-Chief of Practice, Progress,and Proficiency in Sustainability Book Series. He is the founding General Editor-in-Chief of International Journal of Sustainability.He is an advisory board member in the Sustainable Development and Sustainability Institute of East Africa (SDSIEA). He is a member in Egyptian National Scientific Committee on Problems of the Environment, SCOPE, established by the International Council for Science (ICSU). Mahmoud Shatnawi is a director of MATCON Laboratory. He is also the technical accessors of Emirates National Accreditation. Previously he was the business development manager of Arab Center for Engineering Study, in the year of 2012. From 2007 to 2011, he worked as a resident manager in Gulf Laboratory. Before that, for one year, he was in the position of Regional Manager in Lonestar Technical & Industrial Services. He also worked as a technical manager in Qatar Emirates Laboratory. For three years he worked as a head of Material Department in Lotus For Soil Testing And Construction Material Testing . Along with these, he is the member of Jordanian Engineering Association, International Society for Soil Mechanics and Geotechnical Engineering, and also Saudi Engineering Council. JOHN ERMOPOULOS is author of many publications in international Journals and Conferences with a lot of references, and author of about fifteen technical books. He participated in many international Conferences, Seminars, Projects, Workshops and Scientific meetings.He is the visiting professor in University of Colorado at Denver, USA, and Steel Construction Institute, Ascot, UK. He was invited lecturer in many countries (USA, UK, Taiwan, Czech Republic, Bulgaria, Serbia, Romania, Cyprus, Poland, Norway etc). He received DOCTOR HONORIS CAUSA in “Ljuben Karavelov-VSU” Civil Engineering High School, SOFIA. He is the member in various scientific Committees and Societies and also reviewer for scientific papers in many international Journals. Stability of Structures, Analysis and Behaviour of Tapered Members, Semi-rigid Beam-to-Column Connections and Column Bases under cyclic loading etc. John Black completed his PhD in 1973 from Bradford University, England and postdoctoral studies from the Australian National University. He is the Foundation Professor of Transport Engineering at UNSW Australia. He has published more than 105 papers in reputed journals and books(including Urban Transport Planning: Theory and Practice, 1981) and has been serving as an editorial board member on several transport journals of repute, including Transportation Research D; Transport and Environment. He has undertaken research or acted as high level consultant in 36 countries. Ayman Batisha holds a PhD degree in Civil Engineering from Cairo University (Egypt, 2001). He has been invited to attend the ceremony to celebrate Egyptian National Science Day 13.12.2014, under the auspices of honor of Mr. President / Abdel Fattah al-Sisi, the President of the Arab Republic of Egypt, by Ministry of Scientific Research and Academy of Scientific Research and Technology. He has been practicing, consulting, training, and researching in Sustainability for over twenty-five years. He is a certified Environmental Consultant “Environmental Impact Assessment (EIA)”. He is a certified Consultant Civil Engineer. He is the founding Editor-in-Chief of Practice, Progress, and Proficiency in Sustainability (PPPS) Book Series, (IGI Global). He taught graduate Fuzzy Decision Making, and Economic Analysis of Systems courses at Institute of Statistical Studies and Research, Cairo University and undergraduate Civil Engineering courses at the Higher Technological Institute, Egypt. He has published more than 90 research papers and articles focusing on the areas of Sustainability, Environment, Climate Change, Water Knowledge and Civil Engineering. He has been awarded as the prestigious Author and the Editor-in-Chief, from USA publishers. He has been honored with the first prize for the best research by League of Arab States. He is a five-time winner of the Certificate of Appreciation; three-times from Ministers of Water Resources, Environment, and Public Works, and two-times from Cairo University, Egypt. He has been the Chairman of the First European Conference of Mining Engineering. He has been in the Editorial Advisory Board of numerous prestigious international journals. He has served as an International Committee Member for numerous International Conferences. He is an advisory board member in the Sustainable Development and Sustainability Institute of East Africa (SDSIEA). He is an expert in the Sustainable Consumption and Production (SCP) Clearinghouse directory to help others advance SCP initiatives. The Global SCP Clearinghouse is a unique one-stop hub dedicated to SCP and convened by the United Nations Environment Programme (UNEP). He is a member in Egyptian National Scientific Committee on Problems of the Environment, SCOPE, and Future Earth established by the International Council for Science (ICSU). He is a member in many national and International Scientific and Engineering Societies. He is selected as the only Arab Reviewer for "The 2013 Supplement to the 2006 IPCC Guidelines for National Greenhouse Gas Inventories: Wetlands (Wetlands Supplement)" that extends the content of the 2006 Intergovernmental Panel on Climate Change (IPCC) Guidelines. He has been selected by Intergovernmental Panel on Climate Change (IPCC) as Expert-reviewer to ensure quality and comprehensiveness of Climate Change 2014: Mitigation of Climate Change. He has been invited to be an Editorial Board Member of the Environmental Development, the Transdisciplinary Journal of SCOPE published by Elsevier. He is a Reviewer of five Journals published by Elsevier: Building and Environment; Hydrology; Sustainable Cities and Society; Urban Climate and Journal of Applied Soft Computing. Also, He is an outstanding reviewer for Applied Soft Computing Journal. In 2010, published in Germany and printed in USA and UK, Dr. Batisha has his first book whose title is "Structural Health Monitoring of Offshore Structures Using Artificial Intelligence Technique" been published. His Research Articles have been cited in many prestigious International Organizations such as United Nations Environment Programme (UNEP); United Nations Economic Commission for Africa (UNECA); United Nations Economic and Social Commission for Western Asia (ESCWA); League of Arab States (LAS); Federal Ministry for Economic Cooperation and Development (BMZ) (Germany); Overseas Development Institute, London; American University of Sharjah; and Wikipedia. Dr. Charles-Darwin Annan's research interests lie in the general area of sustainable infrastructure and the development of resilient structural systems meeting multiple performance objectives. In the last few years, he has been leading an industry-driven research in collaboration with a leading steel bridge fabricator, Canam-Bridges, and the US Federal Highway Administration (FHWA) to characterize the resistance of corrosion-resistant metallized faying surfaces used with slip-critical bolted connections in steel bridge construction. Dr. Annan is currently a researcher of the strategic inter-university Research Centre for Structures under Extreme Loading (CEISCE) and the Research Center on Aluminium (REGAL), where he is conducting a number of different research on sustainable civil infrastructure. Dr. Annan was nominated for the 2014 Mitacs Award of Exceptional Leadership, which recognizes excellence in collaboration and highlights superior research achievements. He is currently serving in a number of technical committees, including the American Society of Civil Engineers (ASCE) Infrastructure Resilience Division Technical Committee. Dr. Annan currently chairs the Steel Structures subcommittee of the Canadian Society for Civil Engineering (CSCE), and has been serving as an editorial board member of Structural Engineering International of the International Association for Bridge and Structural Engineering (IABSE). Dr.Tarun Kant earned his PhD degree while working as a Lecturer from IIT Bombay in 1977. He was selected as an Assistant Professor in 1978 and a Professor in 1986. He has held the positions of the Department Head (2000-2002), the Dean (Planning) of the Institute (2001-2003), the Chairman of the prestigious Joint Entrance Examination (JEE-1998) and the Chairman of the Central Library (1995-1999) with great distinction. He initiated and introduced many innovations effectively during his tenure. The Institute appointed him as an Institute Chair Professor with effect from 31st December 2009. Prof. Kant was elected a Fellow of the Indian National Academy of Engineering (INAE) in 1999, a Fellow of the Indian Academy of Sciences (IASc) in 2004, a Fellow of the Indian National Science Academy (INSA) in 2007 and a Fellow of the National Academy of Sciences, India (NASI) in 2011. He is the first and only civil engineer in the country to get elected to all the four national academies. He is also the fourth civil engineer to get elected to the two national science academies (INSA and IASc). He has been visiting professors at University of Wales, Swansea (1979-’82), University of Cambridge (1993) and University of California, Los Angeles (2005). He has published more than 135 research papers in refereed journals, 6 chapters in edited books, about 145 papers in conference proceedings, edited 4 books and currently serves on the editorial boards of 5 international journals and in diverse areas of computational structural mechanics. He has supervised 25 PhD theses and over 75 MTech dissertations. He is a Fellow of The Institution of Engineers (IE) and The Aeronautical Society of India (AeSI), a Member of International Association for Computational Mechanics (IACM) and Life Members of The Indian Society of Theoretical and Applied Mechanics (ISTAM) and Indian Society for Technical Education (ISTE) and Founder Life Member of International Society for Computational Engineering and Science (ISCES), Indian Association for Computational Mechanics (IndACM) and Indian Association for Structural Engineering (IASE). He is also a nominated Fellow of The World Innovation Foundation (U.K). Tarun Kant research interests lie in the areas of solid mechanics, plates, shells, fibre reinforced polymer composites, refined higher-order theories, thermal stresses, transient dynamics, finite element and other numerical methods, use of polymer composites in construction, mechanics of composite materials and structures & computational mechanics. Dr. Amimul Ahsan is a Senior Lecturer in the Department of Civil Engineering and a Researcher in the Institute of Advanced Technology, University Putra Malaysia, Malaysia. He received his PhD degree in Civil Engineering from the University of Fukui, Japan. He has been involved with a number of collaborative research projects e.g. University of Fukui, Japan; University of Western Sydney, Australia; Khulna University of Engineering and Technology, Bangladesh; and Swinburne University of Technology, Australia. He has published extensively in Water and Environmental Engineering including 7 books, 9 book chapters and over 100 technical papers. He has been serving in the advisory and editorial board of a number of refereed journals. His h index in Google is 17 and in Scopus is 13. His area of interest includes: Water and Environmental Engineering; Surface/Saline Water Treatment; Wastewater; Activated Carbon Adsorption; Solar Desalination; Solid/Hazardous Waste Management-Modeling, Composting, Landfill; Leachate Treatment, Rainwater Harvesting; Groundwater Treatment-Arsenic, Iron Removal; Water Pollution Control. His Research Interests include Contractor and consultant selection, Delays mitigation, Time/cost relationship, Accuracy of cost estimation, Application of information technology in construction management and economics. Dr K. Balaji Rao, completed his M.E and Ph D from Indian Institute of Science, Bangalore, in the years 1984 and 1990 respectively. He joined CSIR-Structural Engineering Research Centre, Taramani, Chennai in the year 1990. Currently he is a chief scientist at CSIR-SERC and is a faculty of AcSIR. His research interests include stochastic mechanics, stochastic modelling of natural hazards, Markov chain modelling of engineering systems at different scales, vulnerability analysis of built environment and risk-consistent design of engineering structures. He has published a number of refereed journal and conference papers apart from number of R&D reports. He has visited USA, Japan, Libya, Hong Kong. He is currently working in the area of stochastic multi-scale modelling and sustainability-based design. His research interests include stochastic mechanics, stochastic modelling of natural hazards, Markov chain modelling of engineering systems at different scales, vulnerability analysis of built environment and risk-consistent design of engineering structures. He has published a number of refereed journal and conference papers apart from number of R&D reports. He has visited USA, Japan, Libya, Hong Kong. He is currently working in the area of stochastic multi-scale modelling and sustainability-based design. Dr. A.F.M. Saiful Amin has been in the field of Civil Engineering since graduating from Bangladesh University of Engineering and Technology (BUET) in 1996. He then earned his Master of Science degree from his Alma Mater in 1998. After being awarded a scholarship in 1998 from the Japanese Government, Dr. Amin completed his PhD in 2001 at Saitama University. He is currently a Professor within the Civil Engineering department at BUET, and has been a Visiting Professor at the University of Federal Armed Forces (Munich, Germany), and the University of Kassel (Germany). Dr. Amin has been actively contributing to this field in many disciplines over the past two decades including structural engineering with the use of finite element methods and strain theories, cement chemistry, forensic engineering, as well as experimental, structural, and continuum mechanics. His realm of expertise also includes thermodynamics, thermo-physics, and modeling nonlinear material behavior under large deformation. Dr. Maillacheruvu graduated from I.I.T. Madras (1985) with a B.Tech. in Civil Engineering. After working briefly in India, he earned M.S. and Ph.D. degrees in Civil and Environmental Engineering from University of Iowa (1993). After postdoctoral work at the University of Florida, Gainesville, Dr. Maillacheruvu taught at Polytechnic University, Brooklyn NY (now part of NYU) from 1994 to 1997. Dr. Maillacheruvu’s research interests include biological treatment systems (aerobic and anaerobic), industrial waste treatment and reuse, mathematical modeling of environmental systems (water), and hazardous waste treatment and management, soil and groundwater clean-up. He is currently working on electrokinetics-enhanced bioremediation, nutrient removal from wastewater and energy production from anaerobic processes. In addition to over 35 publications in national and international journals and conferences, Dr. Maillacheruvu has co-authored three books/book chapters in the field of environmental engineering. Professor Li is Professor of Civil Engineering and the Head of the School of Civil, Environmental and Chemical Engineering. Apart from his management and teaching commitments, Professor Li devotes his time on innovative research and has gained specific expertise in time-dependent reliability methods and their applications to risk assessment and service life prediction for civil infrastructure. Professor Li’s research areas include risk and reliability analysis of engineering works, service life prediction of civil infrastructure, steel corrosion in concrete and its effects on concrete structures, deterioration of materials and structures, methodology of whole life design and assessment of civil infrastructure, stochastic modeling of loading and structural resistance, and construction management. As Head of School, Professor Li provides leadership and guidance for the School and staff of the School. He is responsible for the operation of the school, managing teaching, research and administration. Specialised in risk and reliability assessment and whole life management of physical infrastructure. Teaching areas include Structural design, Structural assessment, Systems engineering, Materials Science, Construction project management and Research methodology. Professor Li has authored or co-authored around 180 international peer reviewed publications to date including journal articles and conference papers. Professor Li’s research areas include risk and reliability analysis of engineering works, service life prediction of civil infrastructure, steel corrosion in concrete and its effects on concrete structures, deterioration of materials and structures, methodology of whole life design and assessment of civil infrastructure, stochastic modelling of loading and structural resistance, and construction management. Dr Monzur Imteaz is an currently working as a Associate Professor of the Department of Civil and Construction Engineering at Swinburne University of Technology, Melbourne, AUSTRALIA. Dr Monzur has received many prestigious international awards and prizes for his research contributions. He has published numerous technical papers in international journals and conference proceedings and, two text books in the field of concrete structures and concrete technology.He received his PhD Completions: 4 PhDs as principal supervisor and 2 PhDs as associate supervisor, Current PhD Supervisions: Principal supervisor for 3 students and associate supervisor for 4 students and Current Masters Supervisions: Principal supervisor for 2 students. He attended as a keynote speaker for 2nd Science One International Conference on Environmental Sciences, Dubai, 2013 and 2nd International Conference on Hydrology and Groundwater 2013, Raleigh, USA. His research activities are Author of 1 book, 11 book chapters, 76 journals, 65 conference papers and 3 journal editorials. Citations and h-index, Citations: 810 (Google Scholar) and 357 (Scopus), h-index: 17 (Google Scholar) and 12 (Scopus), Recorded publications: 113 (Google Scholar) and 70 (Scopus). Dr. Monzur Imteaz's research interests lie in the general area of Sustainable Wateruse, Ecological Modelling, Hydrologic Modelling, Water Quality Modelling, Hydraulic Modelling, Waste Water Treatment Modelling, Urban Drainage. Dr. M. A. Matin received his PhD from University of Strathclyde, Glasgow, U.K in the year 1988. Currently he is Professor in the Department of Water Resources Engineering at Bangladesh University of Engineering and Technology. He served as Editorial Board member for several International Journals related to his expertise. He has published in various National and International Journals and Conference Proceedings. His research interests include Open Channel Hydraulics, River Engineering, Waterways Engineering, Hydraulic Modeling, Design of River Bank Protection, Dredging and Sediment Manegment, River and Coastal Zone Management, Hydrology, Hydraulic Structures, Professional Practices and Management of Water Resources Projects. Open Channel Hydraulics, River Engineering, Waterways Engineering, Hydraulic Modeling, Design of River Bank Protection, Dredging and Sediment Manegment, River and Coastal Zone Management, Hydrology, Hydraulic Structures, Professional Practices and Management of Water Resources Projects. Dr. Raquib Ahsan received his PhD from Tokyo University in the year 2000. He is the member of IEB (Institute of Engineers, Bangladesh), BES (Bangladesh Earthquake Society), BSGE (Bangladesh Society for Geotechnical Engineering), ISSMGE (International Society of Soil Mechanics and Geotechnical Engineering), JSCE (Japan Society of Civil Engineers), EERI (Earthquake Engineering Research Institute), ISHMII (International Society for Structural Health Monitoring of Intelligent Infrastructure). His research interests are Optimization, Earthquake Engineering, Structural Dynamics, Soil-Structure Interaction, Structural Health Monitoring, Steel Structure. I earned my BSc degree from Technical Lycee Eyadema, Lome, Togo (1981); my MSc degree in Civil Engineering from the Zaporojie Industrial Institute in Ukraine (1988); my Ph.D. from the Dniepropetrovsk Civil Engineering Institute in Ukraine (1991) in the area of Reinforced Precast and Prestressed Concrete Structures. I am originally from the Togo Republic. I am ’Maître de Conférences’ of French Ministry of Education. Currently I am a Senior Lecturer and a Research Associate in Civil/Structural Engineering, at Kwame Nkrumah University of Science and Technology; Department of Civil Engineering, Kumasi, Ghana and have been since Jan. 2001. Prior to this, I worked for 9 years as a Dosent, Research Associate and Interpreter at Dniepropetrovsk Civil Engineering Institute and National Mining University of Ukraine. My research includes theoretical and experimental analysis of the influence of concrete creep on the long duration nonlinear flexural characteristics and on the exponents of limit states of reinforced precast and prestressed concrete various structural members as beams, slabs prestressed in both directions, columns, load-bearing wall elements, electric poles and prestressed concrete trusses. I am member of professional organizations and I have written several papers for journals and books. I am hard working and conscientious, and my research publications are ample evidence of my capabilities, international recognition and according to the requirements, using my qualifications, and experience of more than twenty years after my PhD, I am in a strong position to deliver excellent results and make significant impact. Dr. Md. Ataur Rahman received Ph.D from Nagoya University, Japan in the year 2005. He is currently Head of the Department for Water Resources Engineering at Bangladesh University of Engineering and Technology (BUET). Dr. Md. Ataur Rahman published various papers in Journals and Conference Proceedings. He worked as a member of the Technical Committee for Master Plan of the Development of Hoar Area formed by Bangladesh Hoar Development Board. July 2011 to Mar 2012, Member of an Investigation Committee formed by Bangladesh Water Development Board, Government of the Peoples Republic of Bangladesh to investigate the failure of newly constructed bank protection works on the right bank of Ganges River at Faridpur . May - July 2009, Member of the Inter-ministerial Enquiry Committee formed by the Ministry of Water Resources, Government of the Peoples Republic of Bangladesh to investigate the site selection and construction of three coastal landing stations (Cox's Bazar, Monpura and Sandwip) constructed by Bangladesh Inland Water Transport Authority (BIWTA). Feb - Sep 2007. Reviewed varius Journals: Journal of Shipping and Ocean Engineering, Published by David Publishing Company, USA; Journal of Civil Engineering, Published by Institue of Engineers Bangladesh; Journal of Academics, Published by University of Information Technology and Sciences, Bangladesh; Journal of Green University Review, Published by Green University, Dhaka, Bangladesh. He is the member of Learned Societies, Professional Institutions: Member, Institute of Engineers Bangladesh (IEB), Bangladesh;Member, National Oceanographic and Maritime Institute (NOAMI), Bangladesh ; Member, Bangladesh Water Partnership (BWP); Member, Civil Engineering Alumni Association, Nagoya University , Japan; General Secretary, BUET Teachers Association (2010, 2011); Treasurer, BUET Teachers Association (2012, 2013). Dr. Yongli Zhang is an Assistant Professor in the Department of Civil and Environmental Engineering at Wayne State University in Detroit, Michigan. Her teaching and research interests focus the sustainability of water-energy nexus. Water and energy are two critical resources inextricable and reciprocally linked: the generation of energy requires large amounts of water, while the treatment and distribution of water are dependent on reliable and low-cost energy. There are significant challenges in providing both clean, affordable water and energy. These challenges include: water and energy resource depletion, high environmental impacts associated with conventional fossil fuels, emerging contaminants in watersheds, etc. Dr. Zhang’s research group is interested in tackling these challenges by integrating bioenergy generation and water management for simultaneous production of bio-based energy and water quality improvement in an integrated, strategic manner via a combination of life cycle modeling and targeted laboratory experiments. Dr. Zhang’s specific research areas include:Management of emerging contaminants in natural and engineered water systems; Water treatment and water quality; Renewable bio-energy, especially as pertaining to algal biofuel; Integrated bio-energy generation and wastewater treatment; Evaluating economic and environmental sustainability of emerging technologies by using life cycle assessment (LCA), life cycle costing (LCC), and economic and systems-level analyses. Dr. Zhang’s specific research areas include:Management of emerging contaminants in natural and engineered water systems; Water treatment and water quality; Renewable bio-energy, especially as pertaining to algal biofuel; Integrated bio-energy generation and wastewater treatment; Evaluating economic and environmental sustainability of emerging technologies by using life cycle assessment (LCA), life cycle costing (LCC), and economic and systems-level analyses. Dr. Hassan Baaj is an Associate Professor at the University of Waterloo. He is the Norman W. McLeod Professor in Pavement Materials and the Associate Director of the Centre for Pavement and Transportation Technology. Dr. Baaj has about 20 years of experience in pavement materials and design in Europe and North America both in the private sector and academia. He is P. Eng. in Quebec and Ontario and member of several scientific and technical organizations. He is interested in research topics related to sustainable pavement materials, self-healing materials, constitutive modelling of the behavior of construction materials, Life-Cycle Analysis and mechanistic pavement design.